Last week, the biggest market movers were bullish sentiment about Spain, both rising hopes for a bailout and its avoiding a credit downgrade from Moody’s, and overall bearish earnings reports that confirmed the global slowdown. As we discuss below, the very fact that these were the prime market drivers is very significant. First, here’s how the week broke down. Markets were overall higher on good data from China and the US, as well as on optimism about a coming Spain bailout and more stimulus from China. A Citigroup earnings beat and solid US retail sales also helped European and US stocks. Asia, Europe, and US markets were all higher, primarily due to German comments expressing support for a “precautionary credit line” for Spain that wouldn’t carry the full stigma of a bailout, and thus be acceptable to Spain. Earnings beats from JNJ and GS also helped. Markets were overall higher (despite weaker earnings from JNJ and Intel), mostly due to Spain avoiding a credit downgrade to junk from Moody’s and strong US housing starts. Markets were mixed as bullish news (China GDP meets forecasts, successful Spain bond auction, solid UK retail sales) balanced key earnings misses in Europe (Nestle) and the US (Google). Disappointment on the EU summit and earnings sent markets lower, wiping out much of their gains for the week and leaving them only modestly higher. As noted above, last week, the biggest market movers were bullish sentiment regarding Spain, and overall bearish earnings reports. Miscellaneous data points (like China meeting its reduced GDP forecasts and solid US retail sales) and EU crisis utterances had some short term effects, but news related to Spain and earnings were clearly the big market movers. The fact that these were the top market movers suggests some dangers ahead for the coming weeks. Here are the key lessons to keep in mind for the coming week. For weeks now, markets have risen on hopes that soon insolvency risk for Spain would disappear for the near future because once Spain’s regional elections were over on (October 21st), Spain would cooperate with the EU and make the needed aid request for the ECB’s OMT unlimited Spain bond buying program to start. That hope could well be unrealistic. The regional elections of October 21st in the Basque country and Galicia do signal an end to Madrid’s domestic political concerns. In less than 4 weeks there’s another important regional election in Catalonia. Remember that mere weeks ago we were hearing secession threats from Catalonia, as it resents subsidizing Spain’s poorer regions. So Rajoy may well not yet be ready to cooperate with the Catalonian elections coming up. Meanwhile, time is working against Spain. Losses in these elections for PM Rajoy’s People’s Party could make it harder for Spain to muster the needed political will cut public spending, even if things don’t get worse for Spain. Spain economic data continues to be awful. For example, It’s banks continue to bleed deposits and their bad loan rates are rising [chart???]. Yet another Spanish autonomous region, the Balearic Islands, announced plans on Friday to request aid of 355 million euros from the Spanish Government’s Liquidity Fund for the Autonomous Communities, raising the risks that the regional bailout fund may soon be overwhelmed before. It’s likely that Spain’s regional finances will worsen, so Spain my suddenly find itself needing a bailout without enough time needed to arrange it. Increased German demands due to upcoming German elections, trouble with Greece, a rating agency’s action, or other unforeseen domestic or foreign issue could suddenly make the bailout look uncertain, or at least too unlikely to happen in time before Spain’s solvency is again in doubt. That would once again send Spain’s borrowing costs soaring and reignite worries about the stability of the Euro-zone and the Euro. As we’ve seen before, that worry could then send other GIIPS bond yields soaring and suddenly the EZ is again in flames. Since the Spring of 2012, we’ve had an odd disconnect between risk asset prices and global economic fundamentals. Most risk assets have maintained an uptrend while global economic data has deteriorated. Earnings season thus far has been as disappointing as expected. The justification for this was that more central bank easing would yet again inflate asset prices. If next week’s results continue in the same direction, markets will need to consider whether we’ve reached the end of stimulus based rallies that have brought them near pre-crisis highs without the underlying fundamentals to support these prices. This leads to the following conclusions. In sum, if markets are moving on hopes for Spain, and they’re pulling back on bad earnings, we have a problem. Added to the above concerns is whether US investors may start to sell in order to book capital gains at the low 15% rate in order to avoid likely higher rates that could well be coming as part of the fiscal cliff negotiations. Friday’s action was the most interesting of the week, as a world-wide market pullback wiped out major chunks of the week’s gains for most major stock indexes, leaving them with minor gains at best over the prior week’s pullback. There was no definitive explanation for the Friday profit taking, leaving us to suspect technical resistance, in the absence of news to justify further gains, was the real culprit. For example, looking at the weekly chart of the S&P 500, the 1450 zone has held firm for the past 6 weeks. As usual, the S&P 500 is an accurate barometer of risk appetite. Other bellwethers of risk appetite, like the DAX, the EURUSD, Brent crude oil, etc, all show similar stalling at resistance for the past 6 weeks. So another big lesson is that despite all the stimulus coming or anticipated, markets still need some meaningfully good news to move higher. We maintain our current position. We don’t start selling risk assets while the overall up trends remain intact, and we’re not establishing new longs at this time. We reiterate our weekly warning that all of the most likely scenarios we see coming involve a vast expansion of the supply of dollars, euros, yen, and also of other currencies as nations seek to protect their exports’ competitiveness with cheaper currency. That means we all need to start diversifying into the more responsibly managed currencies or into assets denominated in them. 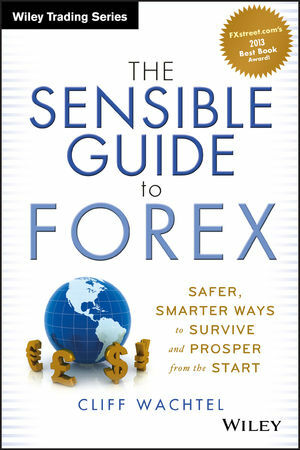 For details on the best collection of the safer, simpler, less demanding ways to do this than generally found in guides to forex markets or to investing in foreign assets, just type “The Sensible Guide To Forex” into your search bar. ← CAN FOREX GO MAINSTREAM? GROUNDBREAKING SOLUTIONS OR DANGEROUS DELUSIONS?